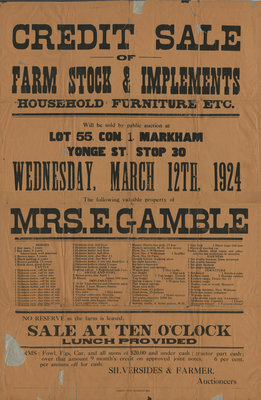 This is an original poster with the announcement of credit sale of farm stock and implements in public auction in Markham. 2 Spring calves 1 Registered bull 3 yrs. 1 Set scales, capa^y 2000 lbs. NO RESERVE as the farm is leased.